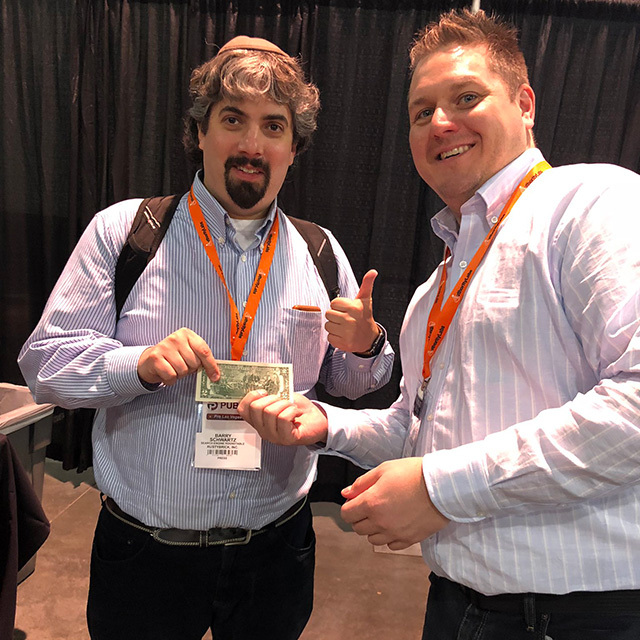 Here is a fun picture for the day - here is Ryan Jones from @WTFSEO who handed me two dollars and asked me to take a picture of him handing it to me. Gary Illyes caught sight of it on Twitter and reported me to the Google authorities. I was caught, red handed!